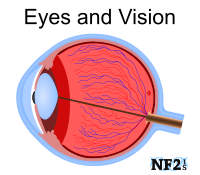 The condition neurofibromatosis type 2 (NF2) results in the growth of different tumor types. 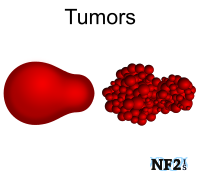 NF2 tumors are and typically remain benign (noncancerous). 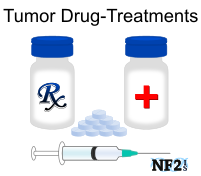 Each NF2 tumor type can result in serious damage as a result of what each tumor grows on or near, and tumor malignancy (cancerous) is a possibility with tumors over a few centimeters. Based on an individual's exact NF2 mutation (variation), tumor development follows a typical pattern, even if the tumor growth rate and development can increase or decrease at some rate due to life choices. The mutation, however, is the biggest part of the tumor growth pattern. In individuals with NF2, tumors grow along the peripheral nervous system (PNS) and along the spinal cord [Plotkin, 2012] typically have a slower rate of growth than brain tumors. Bilateral Vestibular Schwannoma (VS)/(Acoustic Neuroma (AN)): tumor growth on both, the left and right, vestibulocochlear nerve (Cranial Nerve 8), hearing/balance nerves, and possibly the facial nerve (Cranial Nerve 7). A schwannoma is an overgrowth of a schwann cell. Cutaneous Schwannoma (Dermal Schwannoma), and Subcutaneous Schwannoma. 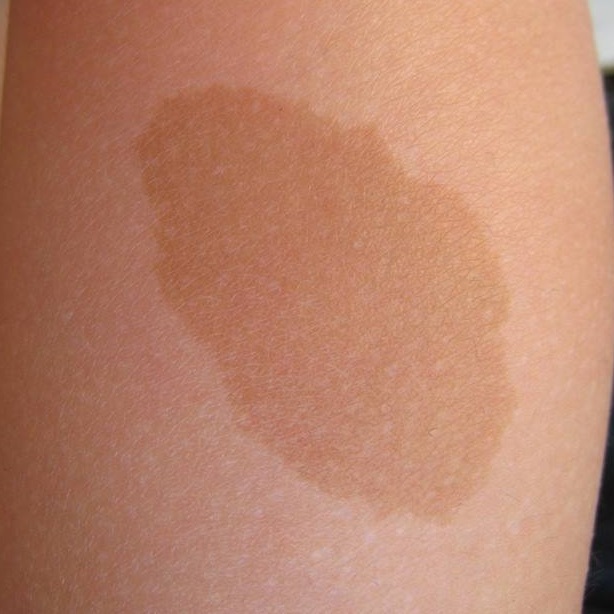 Note #1 - Café-au-lait Macules: Skin Irregularities: Café-au-lait Spots also known as Café-au-lait Macules (CALMs), are irregularities of the skin that could cover a 1-inch area. 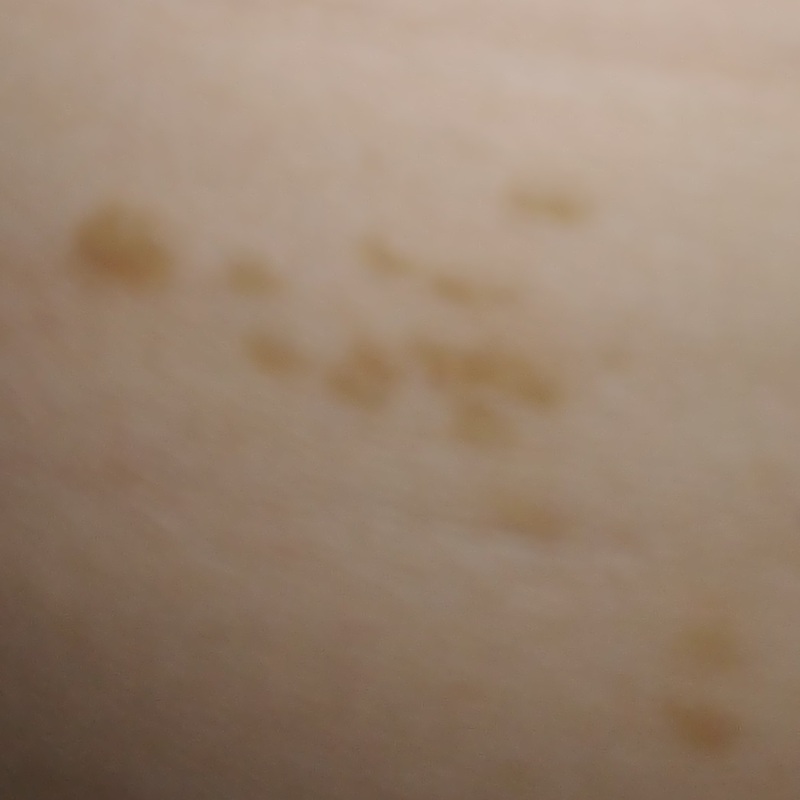 These are not painful; they are simply a discoloration of the skin. 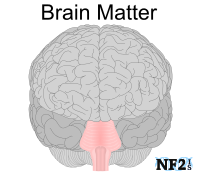 Individuals with NF2, who have CALMS, usually have fewer than six. CALMS can also fade over time. Note #2 - Tumors Types and Tests: It is not possible to tell the difference between schwannoma, meningioma, or neurofibroma in an MRI. Schwannoma and Meningioma are easily identifiable in surgery. 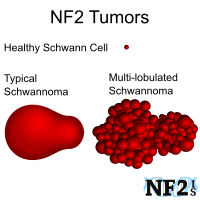 The difference of either schwannoma or neurofibroma with tumor biopsy. Schwannoma (Neurilemmoma or Neurinoma): These are typically Benign (Non-cancerous) tumors that are the result of an abnormal overgrowth of a Schwann Cell in nerve cells Myelin Sheath. 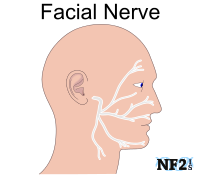 Schwannoma tumors alone the Vestibular Nerve are not always the result of the condition NF2. 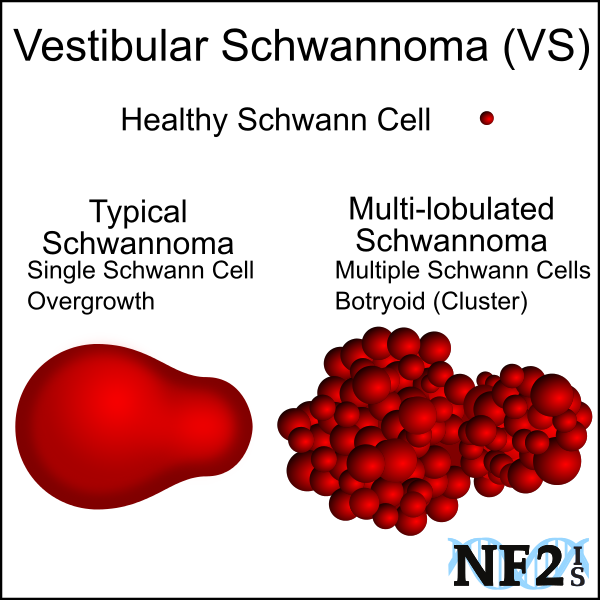 For individuals who develop Schwannoma from NF2, the tumors might be either; 1) Typical, which is an overgrowth of one Schwann cell, or 2) Multi-lobed masses which are combined Schwann cells of possibly different parts of the Vestibular Nerve but can be more complex. 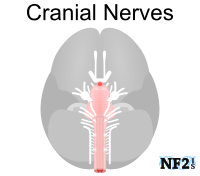 Central Nerve System Tumors: These are tumors that grow on Cranial Nerves (CN) (nerves within the Brain) and along the Spinal Cord; these are most frequent occurring Schwannoma tumors for NF2. 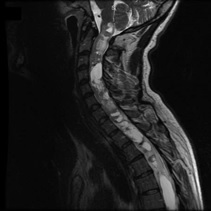 Spinal Cord Tumors: Tumors that grow along the Spinal Cord[Plotkin, 2012] have a slower rate of growth than brain tumors. Cutaneous Schwannoma: These are tumors that can be seen as a bulge just under the skin but are not painful. Subcutaneous Schwannoma: These are tumors that can be seen as a bulge just under the skin but are painful. 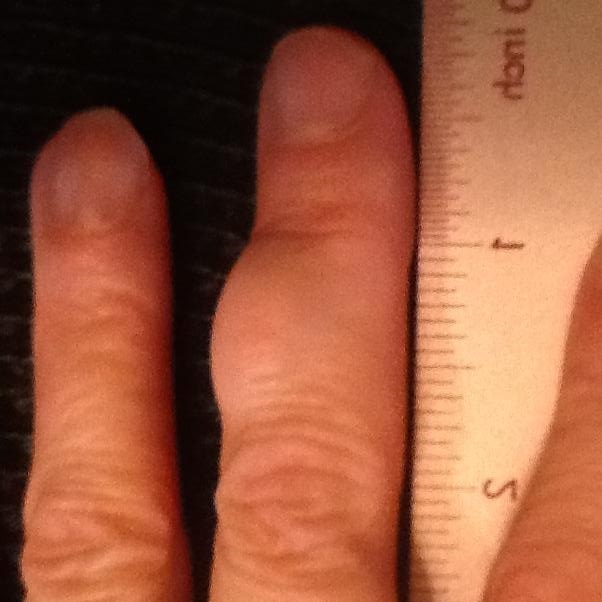 WHO Grade 1: When these tumors start to grow they are slow growing, Benign. 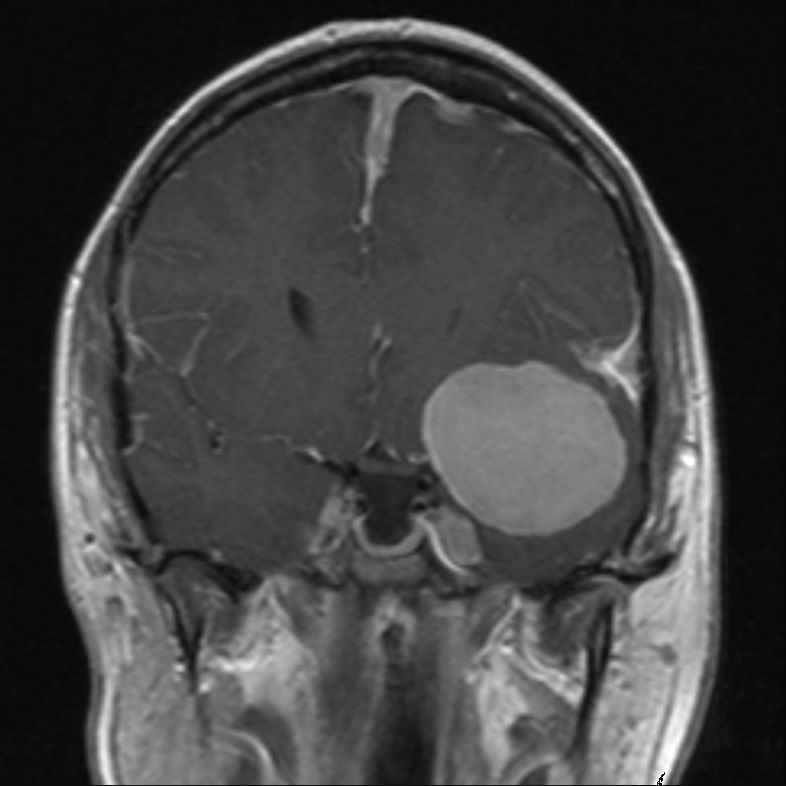 WHO Grade 2: These are Atypical tumors have a higher rate of regrowth if surgically removed. 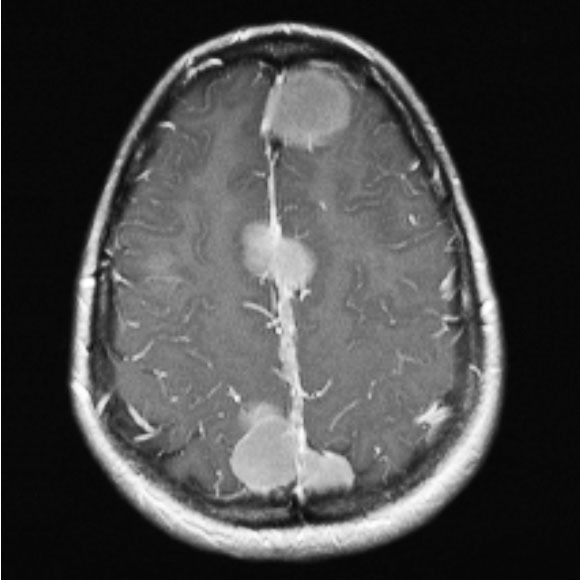 WHO Grade 3: These tumors are Malignant / Anaplastic, (irrespective of brain invasion). While genetics play a big role in tumor growth rate, other things can make additional variations on expected growth. Surgery stress and radiation are now accepted reasons for tumor growth, other issues including hormones are also believed to be a factor responsible for increased tumor growth. Epigenetics is the process by which gene expression is regulated by events other than alterations of the genome. Genes are not the only determinants of how our bodies function. Throughout our lives, our genes can be affected by the environment. In medicine, the term environment includes not only our physical surroundings but also factors that can affect our bodies, such as sleep, diet, or stress. These factors may act alone or together in complex ways, to change the way a gene is expressed or the way messages are conducted in the body. 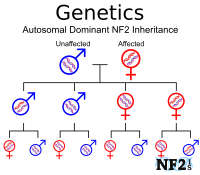 There are different possible Epigenetic reasons for NF2 tumor development, growth rate, and possible change of tumor grade, unrelated to the NF2 mutation type of an individual. Dilwali, Sonam, et al. "Secreted factors from human vestibular schwannomas can cause cochlear damage." Scientific Reports 5 (2015): 18599. 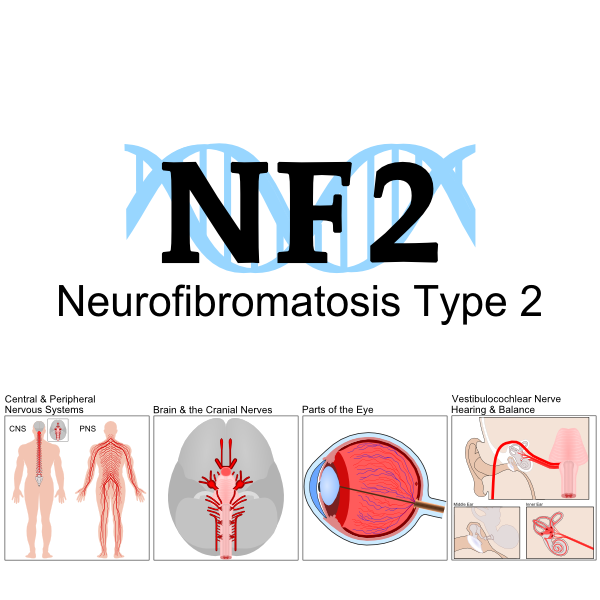 Evans, D. G. "Neurofibromatosis type 2 (NF2): a clinical and molecular review." Orphanet J. Rare Dis. 4, 16 (2009). Asthagiri, A. R. "Neurofibromatosis type 2." Lancet 373, 1974-1986 (2009). Montgomery, Blake K., et al. 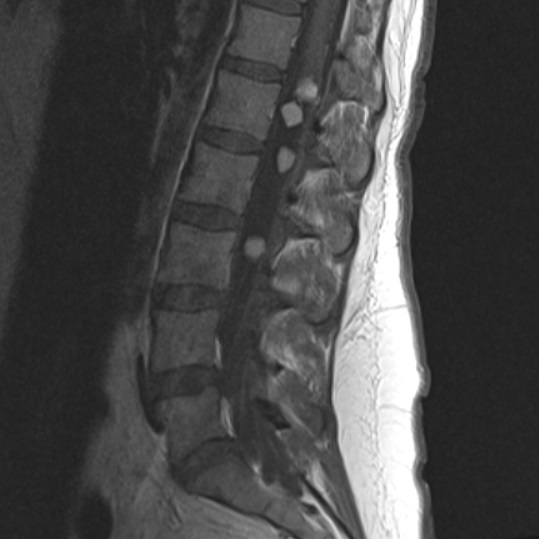 "Tumors displaying hybrid schwannoma and neurofibroma features in patients with neurofibromatosis type 2." Clinical neuropathology 35.2 (2016): 78. Roussel, Martine F., and Jennifer L. Stripay. "Epigenetic drivers in pediatric medulloblastoma." The Cerebellum (2017): 1-9. Supartoto, Agus, et al. 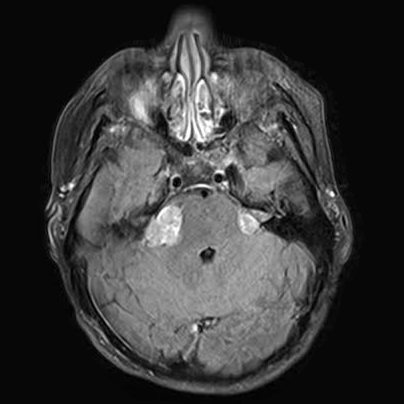 "Relationships between Neurofibromatosis-2, Progesterone Receptor Expression, the Use of Exogenous Progesterone, and Risk of Orbitocranial #Meningioma in Females." Frontiers in Oncology 8 (2018): 651.